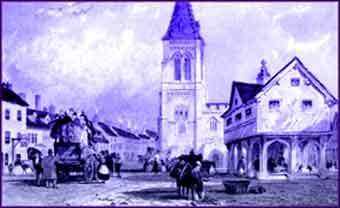 The Market Harborough Historical Society was founded in 1931 and has been active ever since as a forum for those interested in the history and archaeology of the area. The society holds a series of lectures every winter and spring and organises a number of excursions to places of interest during the rest of the year. The Society’s collection of artefacts and photographs formed the basis of the Harborough Museum, which was opened in 1983 as a joint venture by Leicestershire County Council and Harborough District Council.